This is only really changed because the service 15 times have changed as most (?) services interwork both services. As of the 25th May 2014, Plymouth Citybus are pleased to announce the launch of its new service 11 from Plymouth City Centre to Okehampton, with additional services to Tavistock. Service 11 will run 7 days a week with 2 journeys on a Sunday, continuing onto Barnstable using service number 75B. Its not just First who see changes this weekend. Plymouth Citybus start operations on their new 11 service which extends out to Okehampton and beyond. At first glance the timetable looks quite complicated but thats only because they have incorporated a few school journies into the timetable. The timetable for the 12 only changes in that there is no Sunday service anymore. Actully the Sunday service to Tavistock is replaced by the 11 although it does run a different route in Plymouth. I do hope that Citybus have had plenty of notices on their buses as you wouldnt know of this change from their web site. The timetable on their web site is also slightly wrong in that there is a school bus run in there which clearly does not run on Sundays! Combined with service 86 the 15 now offers up to 5 buses an hour from The George junction to Derriford Hospital at peak the morning and afternoon on weekdays. This is especially good news now parking has been dramatically reduced at the hospital (and the price increased!) Plus more service 15 buses serve the actual George Park & Ride site so less of a walk to catch the bus once youve parked (plus you can keep warm and dry in the office if its not such great weather!) Outside of the peak rush hours the 15, combined with the 86, will offer a 20 minute frequency between Woolwell and the City Centre. On Saturdays, combined with 86 the 15 offers a us every 30 minutes between Woolwell Roundabout and City Centre (or hourly travel to/from Woolwell School Drive). You can see one of the main drivers behind these changes in the last paragraph above. They are really pushing to get the Derriford Hospital trafic with a massive increase in services actually coming into the hospital site. It wasnt that long ago that they took nearly all their Tavistock buses out of Derriford. Note the reduction to the Woolwell service on Saturdays - down to hourly on the last section of the route. During the summer season (from 25 May until mid September in 2014) one service 48 trip a day will extend from Burrator to Exeter on Sundays and public holidays. This additional journey will see the frequency from Wembury to Burrator changed to run roughly 2 hourly, but will give better travel options for customers. This is at the request of Devon County Council and Plymouth City Council. The welcome return of the 82 service, albeit now called the 48! There is though a reduction in the Burrator service which is now two hourly rather than every hour as before. This is the Sunday only service which is run off the 11 after Okehampton. It would be nice to see a bit more publicity from Citybus on these new services. Apart from the timetable which is combined with the already complicated service 11 timetable its not that easy to see. There is no indication of what tickets are available for the service either. It would be nice to see a day ticket which can be used. Can the all zones ticket go out that far? During peak morning and afternoon times we will be running up to four buses an hour between Tavistock and Plymouth City Centre (with two service 86 buses serving Derriford Hospital). Outside of the busier morning and afternoon rush hours we will continue to provide three service 83 buses each hour with an hourly service 86. Service 86 will also serve the George Park & Ride site outside of the peak rush hours for buses to Marjons and Derriford Hospital. In the evening service 86 buses now run via Mutley Plain instead of Milehouse. This is following numerous customer requests and comments. 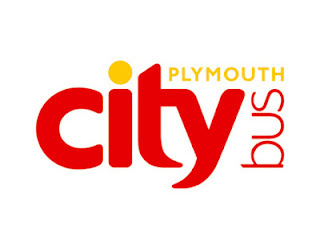 We continue to run way into the evening with the last buses from Plymouth City Centre leaving at 23:45 and from Tavistock bus station leaving at 22:50. On Sundays service 83s will now be numbered as 83As since they also serve Derriford Hospital. Service 84 is no longer running due to the Devon County Council support being withdrawn. The Sunday and public holiday timetables are back for the summer season from Sunday 25 May to Sunday 14 September 2014. We have a great value weekly ticket on the Mayflower Link service 93. At just £27 you can travel on the 93 as many times as you like during a seven day period. That works out as little as £3.86 a day! The Sunday and public holiday timetables will be reinstated for the whole of the summer period up to and including 14 September 2014. Summer Sunday service back for another year. Velvet timetable changes from Tuesday See the new timetable for the A. The biggest change is the cut to the Southampton-Hedge End Velvet Sunday service. EYMS New Moors Explorer For many years EYMS had provided Summer links from Hull and Beverley to the North Yorkshire Moors as part of the Moorsbus network of services designed for visitors to the North Yorkshire Moors National Park. However the national park authority have pulled funding for the network and it has sadly ceased. EYMS 45/46/46A/142 Changes Partly because of the closure of EYMS's Driffield depot, services 45, 46 and 46A between York, Pocklington, Market Weighton, Driffield and Bridlington will be amended from Sunday 1st June. Sunday services are unchanged so the below only applies to Monday to Saturday services. Dismal to Dunoon : Delightful or Depressing? This policy of helpfulness can be seen on the bus stop displays which use enlarged versions of the booklet pages. What a really good idea - no unhelpful departure lists here! Return trip via Inverkip  The McGill's leaflet, obtained from Largs Tourist Information Office earlier that day, revealed that the bus back was a service 901 at 1550. Plenty of time, thought fbb, to seek out public transport information, particularly bus timetables. Metrodecker: the new London bus Manufactured by Leeds-based Optare, the new fuel-efficient double decker could be in service by the end of the year French farce: France faces rail chaos and £100million bill after 2000 new trains are built 3cm TOO WIDE for station platforms France is facing a multi-million pound bill after ordering 2000 new trains which are 3cm (0.11 inches) too wide for many of its platforms. The incredible mistake means that 1300 stations will have to be upgraded so as to accommodate the trains. Also the 54 started today - Target have won it this year, and were using a white YJ55 Solo today. Interesting that First Devon and First Kernow timetables are in distinctly different styles. The latter are now in colour coded Buses of Somerset style. Best Impressions' first foray into Cornwall. Apparently the timetable book is very much a first work, and will be built upon and improved for winter and again next season, along with all other publicity signage etc. Great to see this positive development. I look forward to the new livery!